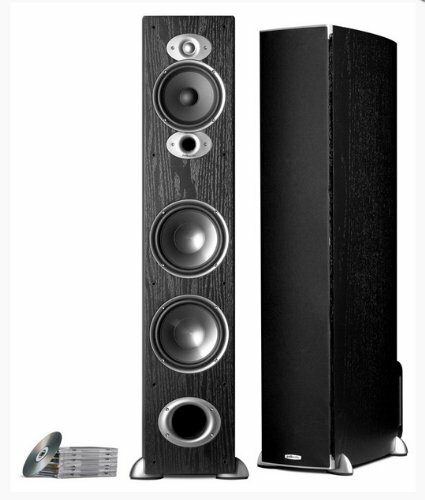 Polk Audio RTI A7 Black Floor-Standing Speaker - The new RTI A series feature several upgrades. From the incorporation of our latest Dynamic Balance Cone drivers and 1 inch tweeters to an elegant restyling of the cabinets in keeping with the latest styles. The floor-standing models feature "Power Port Plus" an enhancement of Polk's patented Power Port technology. As you would expect from this highly popular line, the performance is classic Polk. Features Power Port technology to reduce "chuffing" or "port noise"
If you have any questions about this product by Polk Audio, contact us by completing and submitting the form below. If you are looking for a specif part number, please include it with your message.